Mitzvah: Volunteer Needed this Afternoon! Bring in the holiday with an extra special Mitzvah! One or two volunteers are needed to bring a Seder to Go meal to two elderly residents at assisted living facilities in the area. If you would like to volunteer please contact Malky at malky@jbayarea.org or 713-398-2460. Join us for delightful Holiday and Shabbat services, accompanied by beautiful melodies and interesting insights into the holiday. Shabbat and Sunday Mornings: 10:00 am, Torah discussion, followed by Kiddush & Fruit at around 12:00 pm. Please note: Coffee & Kabbalah will not be held on the morning after the First Seder :-). It will resume, of course, for the following Shabbat. It's not too late to reserve for the Community Seder. You are invited to a beautiful Passover Seder complete with fine wine, hand-made Shmurah Matzah and a delicious holiday dinner. Featuring an interactive reading of the Haggadah, enhanced by fascinating, relevant insights and joyful song. For details and reservations, please see our website. Advance reservations required. An option to join for the 2nd Seder is also available - please contact our office for more info. 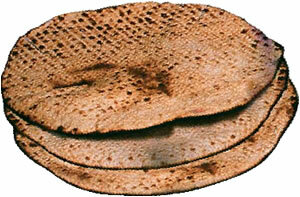 Learn more about Shmurah Matzah. As a community service, we are pleased to offer some Shmurah Matzah available for purchase at a discounted price of $18 per lb. Matzah should be picked up this week. Please call or email ahead. Watch your mailbox: Passover Guide! Watch your mailbox for our beautiful Passover Guide. 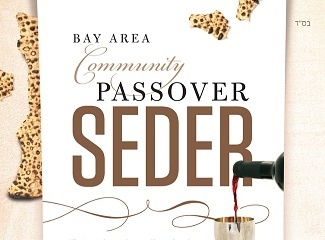 The guide is jam-packed with insights and helpful information about the ins and outs of Passover and the Seder night, as well as a holiday calendar complete with Candle-Lighting times, holiday end times and information on upcoming Chabad Bay Area events. Coffe and Kabbalah and Shacharit Morning Service will not be held this Shabbat - Saturday, April 8th. The full Purim photo album is now online, check it out!